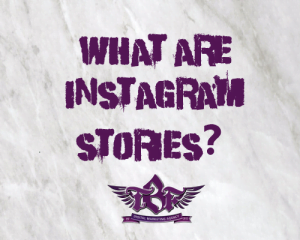 You may know all about Instagram and how great it is for marketing, but do you know why you should be using Instagram stories for your business? Instagram stories is a great tool for marketing, but is something that many businesses overlook or are too intimidated to try. Instagram has up-ed it’s game majorly in the past few years when it comes to using it as a marketing tool. Where before it was just seen as an online photo album, the platform now hosts a series of new features such as instagram stories, Instagram TV and Sponsored Ads, making it a major player when it comes to online marketing and sales. So how can you use Instagram, stories to your advantage as a business? Instagram Stories is a great way to keep your followers engaged while also leaving your content open for new audiences to discover, meaning that you are not just catering for the audience that you already have, but the audience that you want. The concept behind Instagram stories is that they are a quick, ‘on-the-go’ tool for your social media. The idea is that the user takes a picture of whatever subject matter they want to post and upload it onto their stories. There are some editing features, but the idea that it is spontaneous and the post only lasts 24 hours. This makes the feature great for businesses as you can promote flash sales or upload pictures of your inspiration while you’re out and about. The spontaneous tone of Instagram Stories is a great way to engage your audience and let them catch a glance of the behind the scenes of your business. You can post process shots of how your product is made, packaged or designed, or on the go pictures from your buying trip. All of these behind the scenes glimpses add up to a really personal Instagram brand which customers love to see. Seeing your process helps your client to see that your business is run by a passionate business owner, which builds trust between you and the customer and helps to gain those all-important sales. 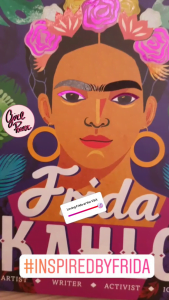 As an example, we’ve included one of our story posts below, where we posted about the Frida Khalo exhibition at the Victoria and Albert Museum. Although this post isn’t trying to directly sell our services, it shows who we are and what we are inspired from, which shows our clients and audience a part of our brand identity. Instagram stories have a quick, engaging format perfectly suited for mobile experiences. 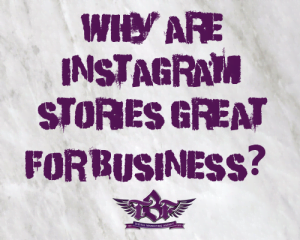 Of course, many businesses have already taken notice, with Instagram’s data showing that a third of the most viewed stories on the platform were created by businesses. So why do they work? To put it simply, stories are fun to create and consume, and the easy and quick format lowers the stakes and makes the whole experience less formal and sales driven. An active user base: Instagram reports there are more than 400 million daily users for stories. When you think about it, that’s an opportunity everyday to reach out to millions of users and find a new audience base that you couldn’t with other platforms. Stories = effortless creation: Unlike other posts to Instagram or Facebook, no one is going to expect you to invest half an hour on a post that’s will self destruct within 24 hours. While the traditional Instagram post does require the perfect lighting, angles and hashtags, a good story just requires a quick idea or an interesting moment, and some creativity. 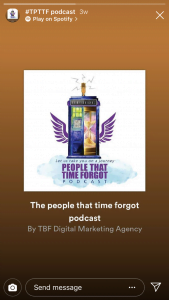 The feature may be disregarded for the limited time that the post is available for, but that is actually one of its major advantages when it comes to marketing your business. An armory of features: There are tools for drawing, placing stickers, adding augmented reality filters and more when it comes to editing and customising your Instagram Story, meaning that you can easily brand your images and have your own unique style. The opportunity to drive traffic: In a recent update, Instagram Stories has made it available to add links to your stories, advertise your products with shopping on Instagram, and you can now take advantage of Instagram’s latest feature: shopping on Explore. All of these new features make it a great way to directly sell products from your Instagram Stories. As an example, here is one of our past Instagram Stories where we were promoting our Podcast. Swipe-up links: If you have more than 10K followers on Instagram and a business account, you can link out from your stories. This is another amazing way to drive traffic to other areas through your Instagram Stories. Although these are great benefits of using instagram stories for your business, we’ve still only scratched the surface in this guide. 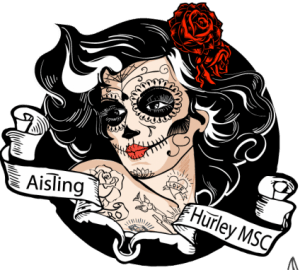 For more information about using Instagram and Instagram Stories, as well as digital marketing strategies, email us at info@thebusinessfairy.ie you can also check out our Instagram and Stories here.